Wade Shows Midway - The Great New York State Fair! 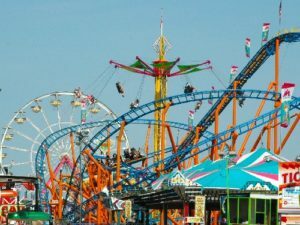 Wade Shows is North America's premier carnival company. Their unique spectacular rides and attractions, unparalleled customer amenities and service-oriented staff are the reasons they set the standard in the industry. View the 2018 ride list at the bottom of this page. 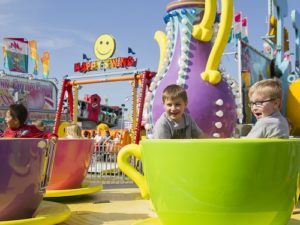 Height restrictions: Wristbands are not recommended for children under 36" as there are a limited amount of rides they can safely ride. Parents with children under 48" should check the height requirements before purchasing to make an informed decision whether wristbands are the best value for their children. 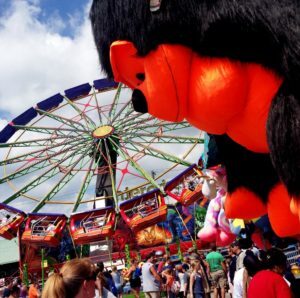 Height requirements for the rides can be found onsite or by clicking here. Wade Shows strongly suggests checking height requirements for rides before buying wristbands.